Education in hippotherapy | Courses and workshops in Equine assisted activities and therapies. 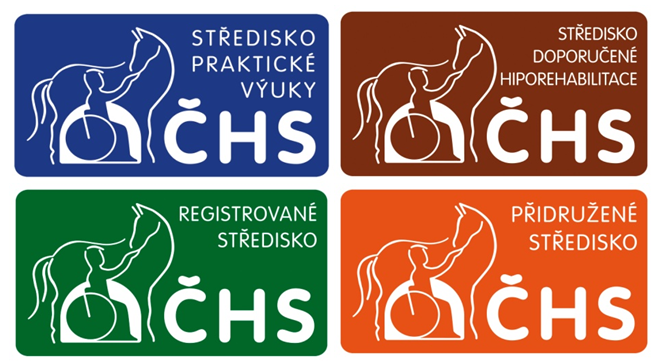 The Czech Therapeutic Riding Association (CHS) was founded in 1991 as a voluntary, non-government and non-for-profit organization with the vision to promote the best and safe practice of Equine Assisted Activities and Therapies (EAAT) and to integrate individuals with disabilities or special needs. To bring together people interested in EAAT. To promote the best expertise, effect, and safety in EAAT in the Czech Republic. To organize and conduct conferences, workshops, internships and specialized courses. To publish methodologies and industry standards for each EAAT disciplines. To promote and ensure equine welfare standards. To assess the eligibility of therapy horses. CHS associates physical, occupational and speech therapists, physicians, psychologists, nurses, social workers, special educators and riding instructors. Membership is open to everyone working with horses in the health and social care fields, education and para-equestrian. EAAT clients and their family members are most welcome as well. CHS registers 54 EAAT centres and 70 individual members. The licensed program for horses participating in EAAT has been implemented since 2011. The purpose of this specialized testing system is to verify horse characteristics and it's acquired skills that meet the needs of a therapy horse. The therapy horse certification program puts particular emphasis on examination of the horse’s movement pattern and its character and reactions. Each horse successfully passing the exam will get the license and special label on its stabling (see the picture). To promote the best expertise, effectiveness, and safety in EAAT, CHS organizes several specialized courses for professionals in Hippotherapy, Equine Facilitated Learning and Psychotherapy and for Therapy horse trainers. CHS organizes a National conference every two years. CHS organizes or co-operates to conduct workshops and para-equestrian competitions. 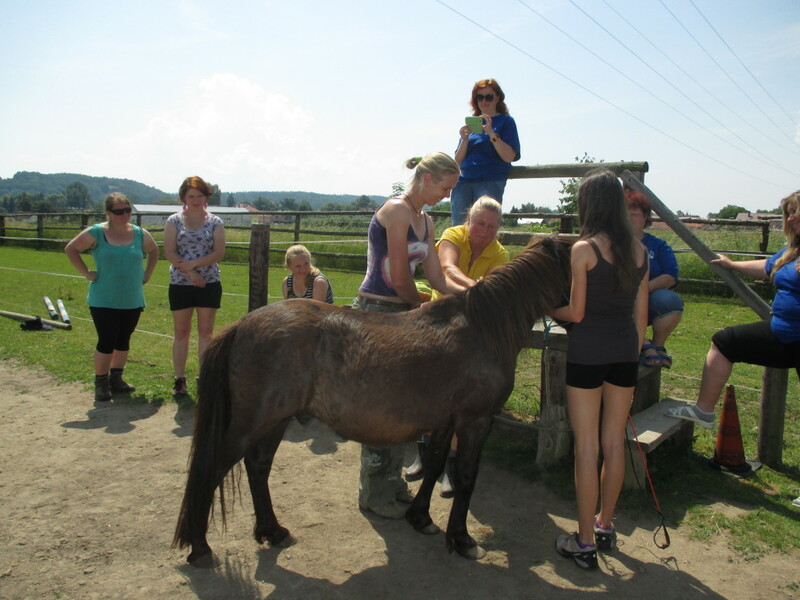 The Czech Therapeutic Riding Association is a part of the ERASMUS + project, where our mission is to help colleagues from Turkey and Bulgaria build their own education system. There are 8 lecturers from each country. The project is for two years and we will have 4 meetings. The first one will be in Brno at the end of March. Then we will go to Varna in early summer and to Turkey in September. In spring 2020, we will finish the project in Brno. It is a great challenge for us and we look forward to it!